Terrible looking photos are popular on the Internet. I was miffed at the time but over the years I have warmed up to using filters on photos. And my husband loves to point it out when I do. Every day there are new apps that come along to get creative with pictures–even pictures that aren’t that great to begin with. I am fascinated that on some social media, especially Instagram people really like old timey looking photos where colors are washed out or skewed into unnatural wildly over saturated hues. When I do digiscoping workshops many people are looking for ways to get a great photo and eliminate vignetting–the black circle you see around photos. With older scopes with smaller eyepieces, you’re not going to get rid of that easily because the phone’s camera lens wasn’t meant to work with a small eyepiece–no one could have predicted 20 years ago that so many of us would take photos with phone/computers. But it’s lucky for you that people love it on Instagram and that app as well as many photo apps allow you to add it back in! But there are amazing things to be done with photo editing. 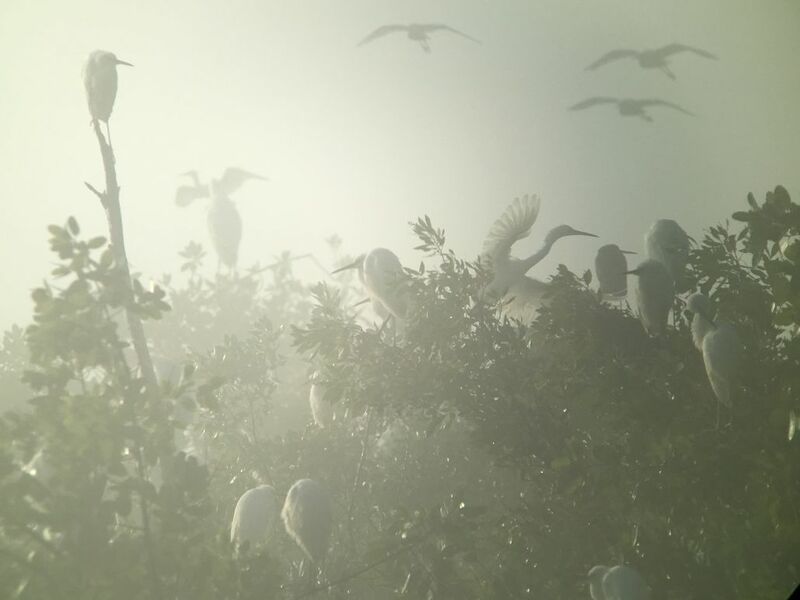 One of my favorite things to do with phoneskoping is to get silhouette shots of birds and wildlife at dawn and dusk, especially if there is fog involved. Sometimes I get the birds but they aren’t quite as defined as I’d like. So I can use the SnapSeed app to punch it up a little. They have individual controls, your you can use the HDR filters or Drama filters to kick the photos up to another level. 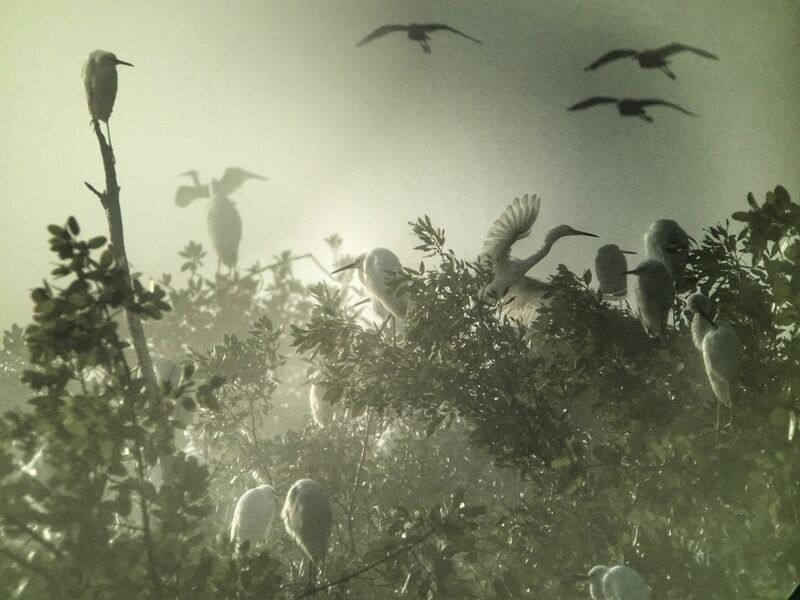 This is a much more interesting photo, you can see extra definition of the birds hidden in the trees and the ones flying in. SnapSeed is very fun with landscape shots as well as digiscoped. It can add a bit of excitement and drama to your photos. Snapseed is free and available for both Android and iPhone. 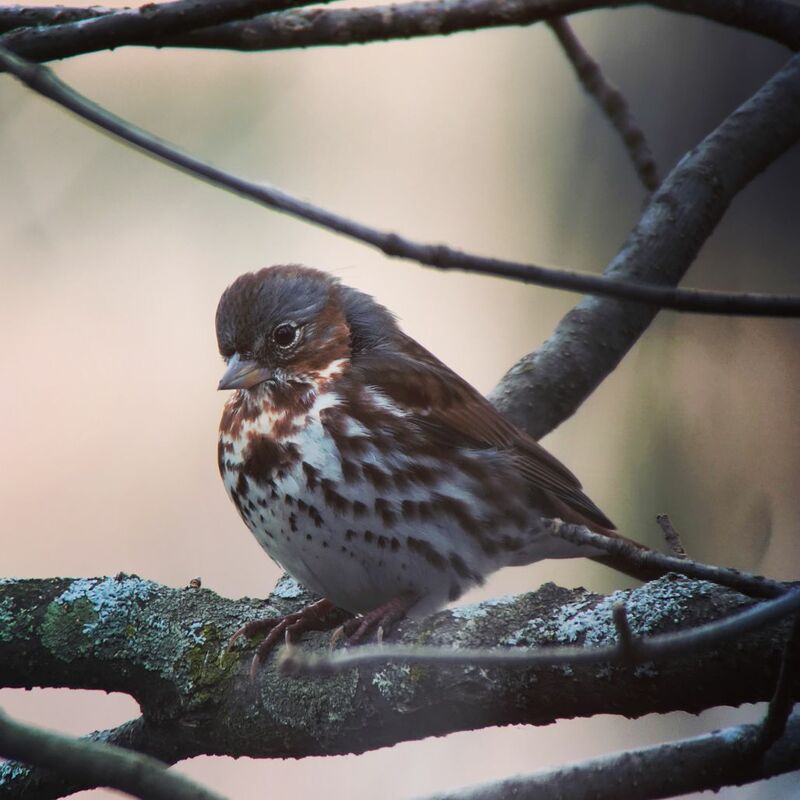 Above is an unedited photo of a fox sparrow. Watch what happens when I put it in the Prisma app and use the Candy Filter. 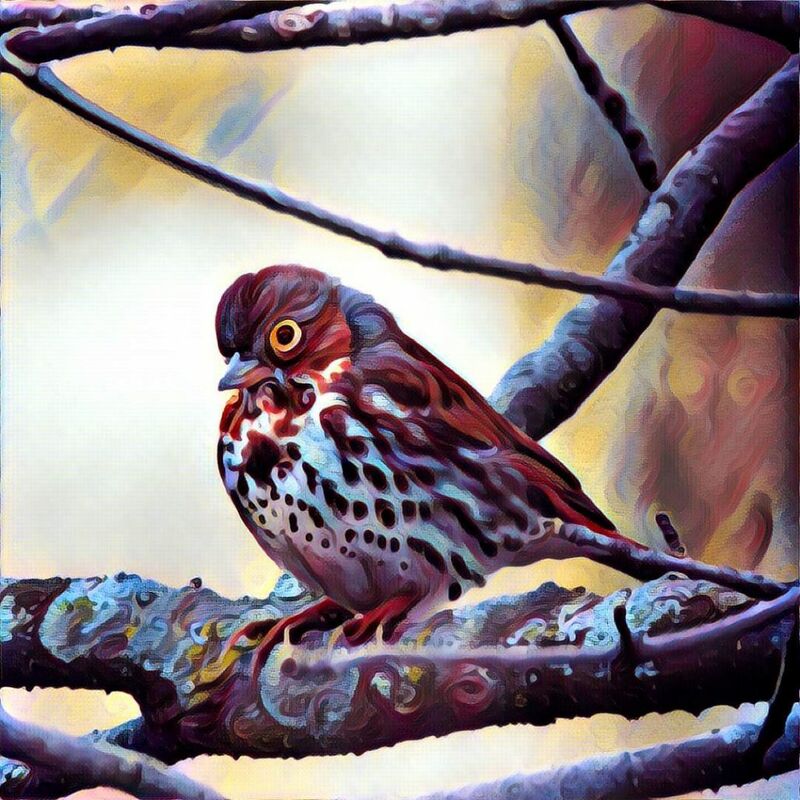 The Prisma app suddenly makes my fox sparrow look psychedelic and perhaps a little mad–it added yellow pupils to my bird which fox sparrows do not have. It’s not just crazy colors, there are many filters you can play with. It’s amazing how different the app can make your photo look. Some of my turkey vulture pictures have been so popular that friends and relatives ask for them printed out. You could even make greeting cards out of them if you wish. This app is available for both Android and iPhone. Another fun app is the Werble app which is newer and is currently only available for the iPhone. This app will let you add animations. Above is a great gray owl picture with snow added. It makes for a fun gif to share on social media–the great thing about owls is that you tend to see more in winter and they don’t move so much so someone might think you are actually posting a video. Werble has other additions like rain, confetti, lightening or fire. I call this Apocalypse Eagle. Most of the additions in Werble are free, but they do offer various packs that you can pay for to turn your photos into interesting gif. They can be fun additions to your social media pages, especially if you end up using them as cover photos or profile pictures. 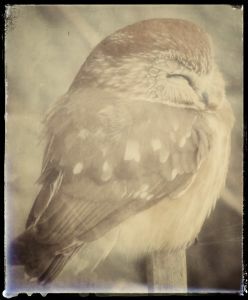 I love Snapseed, I have only used it on landscape and my grandchildren’s photos but will be trying on my birds. And Thavks for the info on the other fun apps! Snapseed is one of my favorites for landscape shots!